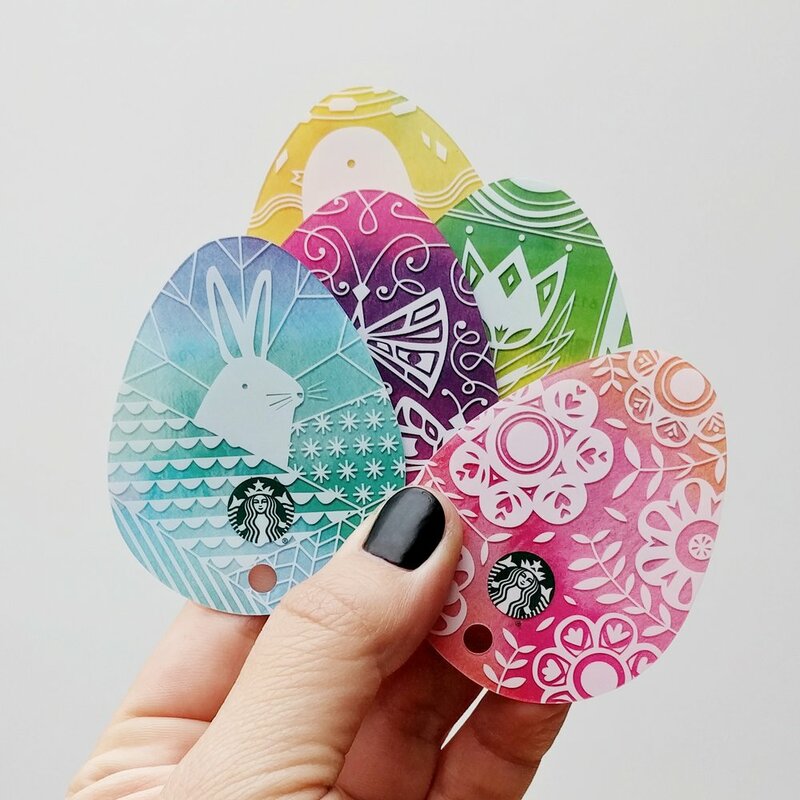 Starbucks Gift Cards for Easter 2017. These designs were inspired by the Ukranian Easter eggs, Pysanky. The eggs are traditionally decorated using a wax-resist method. I'm really happy I get to share my take on this amazing and beautiful craft.